Can one retrofit additional drop-down doors? With a little technical knowledge the installation of additional drop-down doors can be easily undertaken. How many INOS box sets fit into a compartment? In an open compartment with a width of 750 mm one can fit 3 INOS box sets, in a compartment with a drop-down door only 2 box sets. 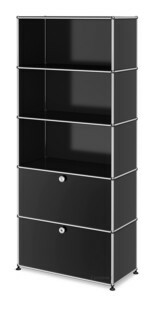 As a modular furniture system USM units can be converted as required when required, However, such conversions should only be undertaken by a trained fitter USM. Please contact our USM Service Team for more information on the options for your area. In the early USM commissioned local architect Fritz Haller with the planning of new production and office buildings for the company's Münsingen base. Upon completion, Haller was asked if he could also developed a suitable solution for the interior; one which followed the principles of a flexible furnishings and which was compatible with the concept of open-plan offices. 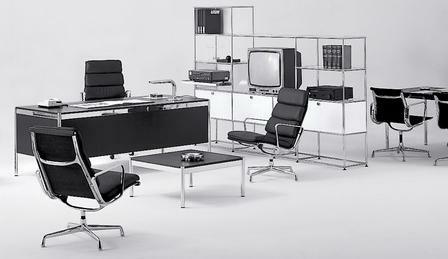 With a 1969 order from the Paris Rothschild Bank USM office furniture system entered serial production and so set off on its success story. 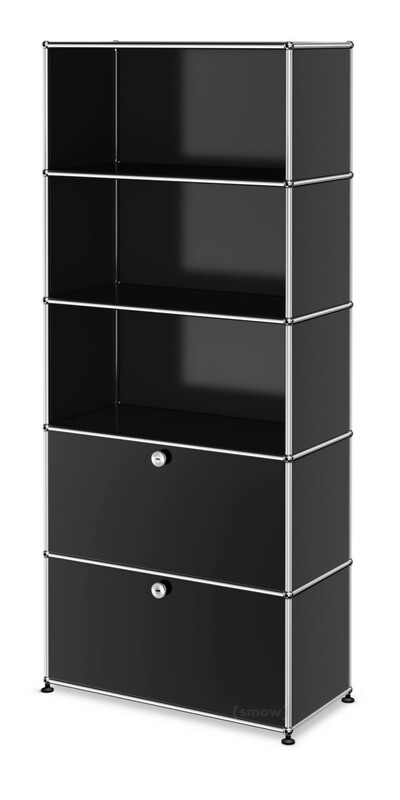 As ever USM Haller furniture is characterised by its modular and minimalist character: even the USM Filing Cabinet being constructed from just three basic elements: elements with which one can design a wide variety of USM Haller furniture to meet the varied needs of the modern world. 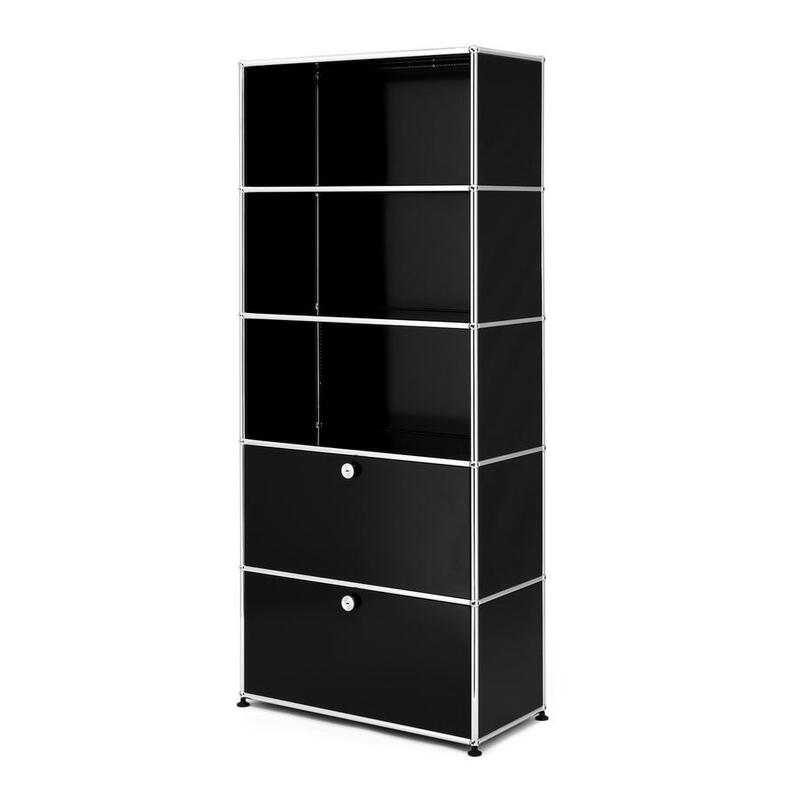 Today, the range includes the USM Haller sideboards in numerous designs and USM Haller tables, USM Haller mobile container and other system furniture. The USM Haller filing cabinet with two doors has five compartments, two of which are equipped with drop-down doors. 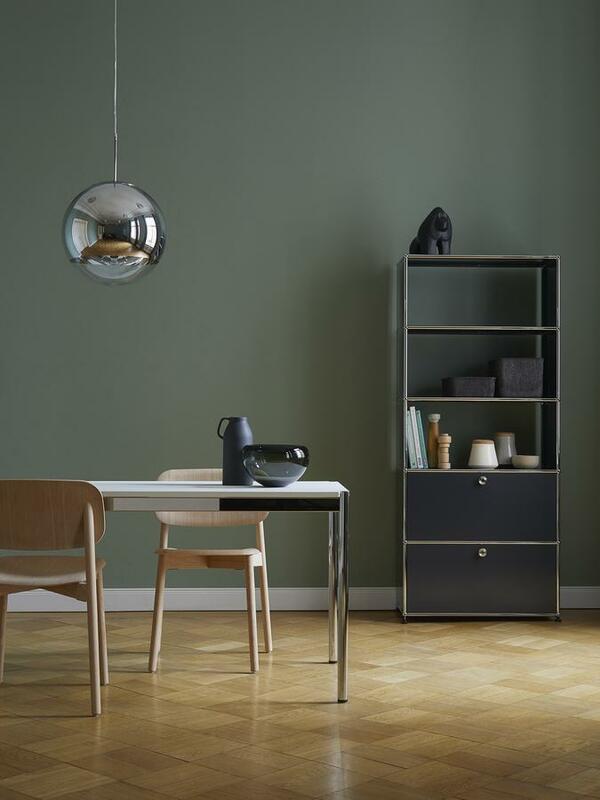 All parts of the USM furniture systems are produced at USM's Swiss base, where in addition the metal shelves are powder coated in one of the the 14 USM colours. USM Haller units intended for the German market are then assembled at the company's German plant in Bühl, Baden-Württemberg. The nature of USM means that production and product are environmentally responsibility in a number of ways. The focus on a limited number of sites and transportation of unassembled units helps reduce transport induced CO2 emissions and other negative effects of distribution. In addition, USM Haller has been awarded the Greenguard Indoor Air Quality Certificate, certifying USM as a low-emission product and thus its contribution to creating a healthier indoor environment. Above all however, through the use of high quality materials and the flexibility of the furniture system USM furniture has a long life cycle and thus represents a careful and respectful use of resources. Fritz Haller may have gone down in history as a furniture designer, a profession for which he has won many awards, but his life's work consists mainly of his architectural designs and for all the schools, office buildings and production halls he realised. 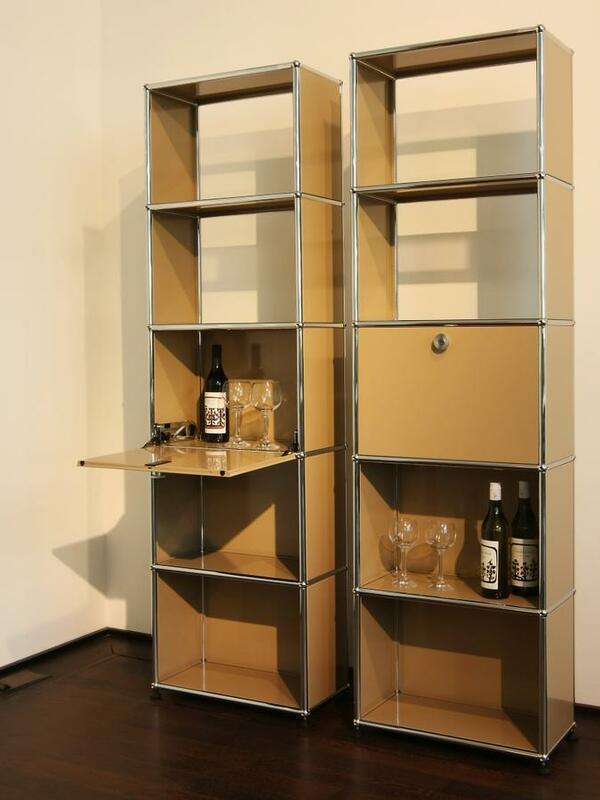 Even the USM modular furniture system is directly related to his work as an architect and originally served the interior of an office pavilion he designed for the company USM building in Münsingen. Both building and furniture share their orientation towards functionalism and the tendency to systematics: features characterise Haller's entire oeuvre. Fritz Haller died on October 15, 2012 in his native Switzerland. 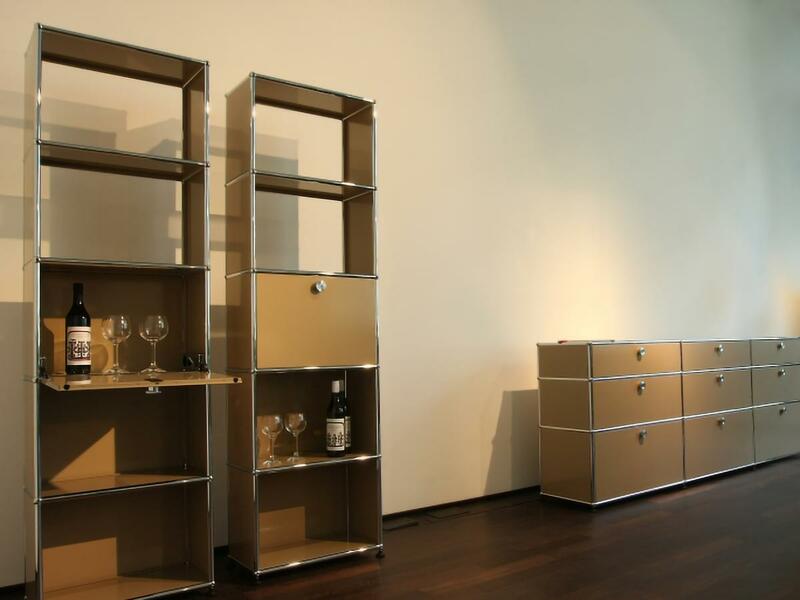 The history of the manufacturer of the USM Haller furniture dates back to 1885, when Paul Schärer's grandfather, Ulrich Schärer, founded a hardware and locksmith's business in Münsingen, Switzerland. 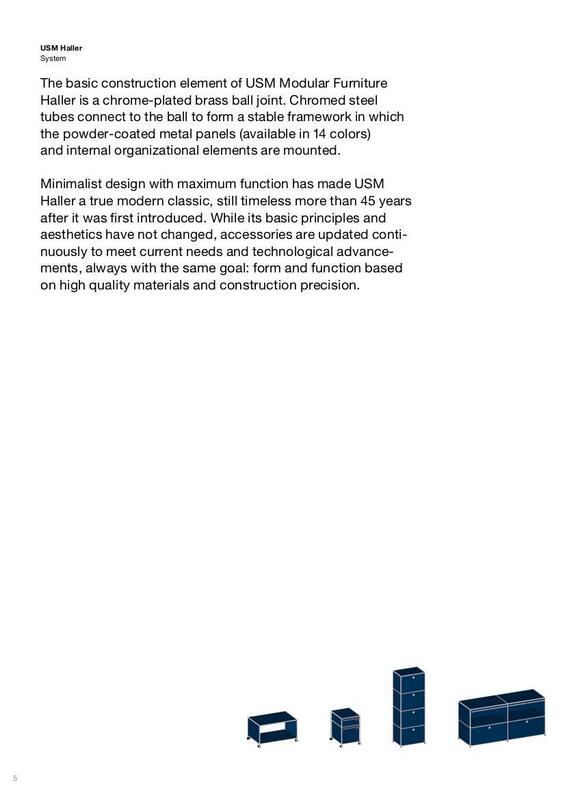 For decades produced USM hardware and window shutters, until that is Fritz Haller developed in the early 1960s the USM furniture system. 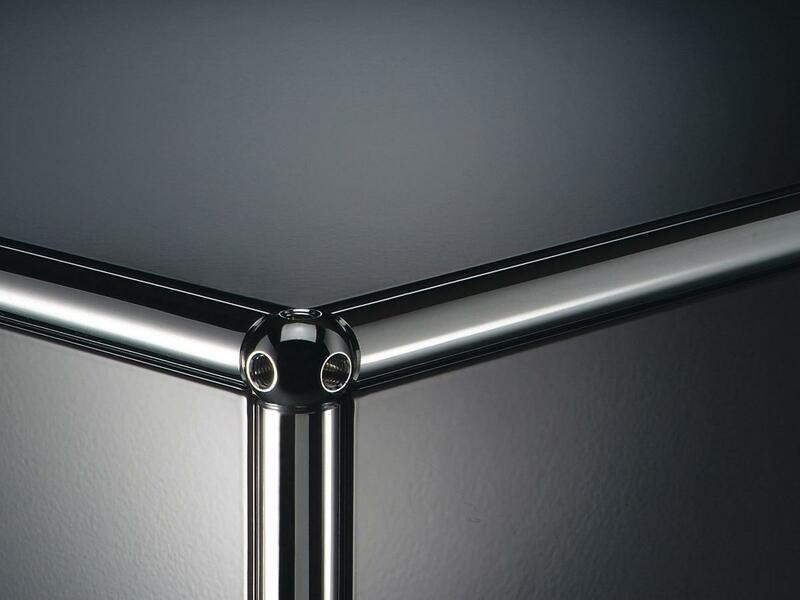 Serial production of the furniture system began in 1969, and from this date onwards USM increasingly concentrated on the production of metal furniture. 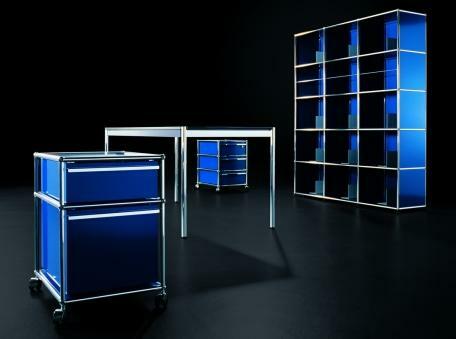 Since 1988 the USM furniture system has been protected by copyright and since 2011 has been included in the permanent collection of MoMA, New York. Since the 1970s a dedicated team of designers has been charged with the development of modular furniture, the most obvious result of their work being without question the USM Haller table collection. In 1992 USM discontinued the production of window shutters and now focuses exclusively on the production and development of the USM Haller furniture. 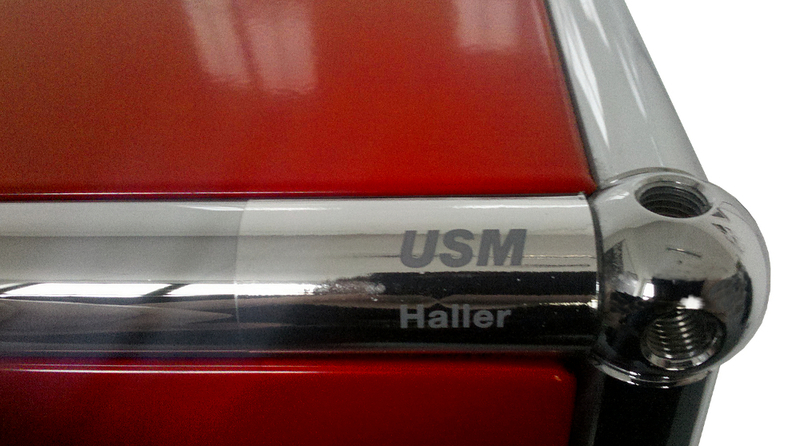 The design history USM Haller is attributable to functionalism. The design principle "form follows function" characterises this movement and is implemented with the USM office furniture in a very special way. Namely, the furniture can be adapted to the changing demands of their environment and remain flexible in its functionality. In addition the reduced, minimalist design results from this focus on functional aspects and is also responsible for giving the system its timelessness and beauty. 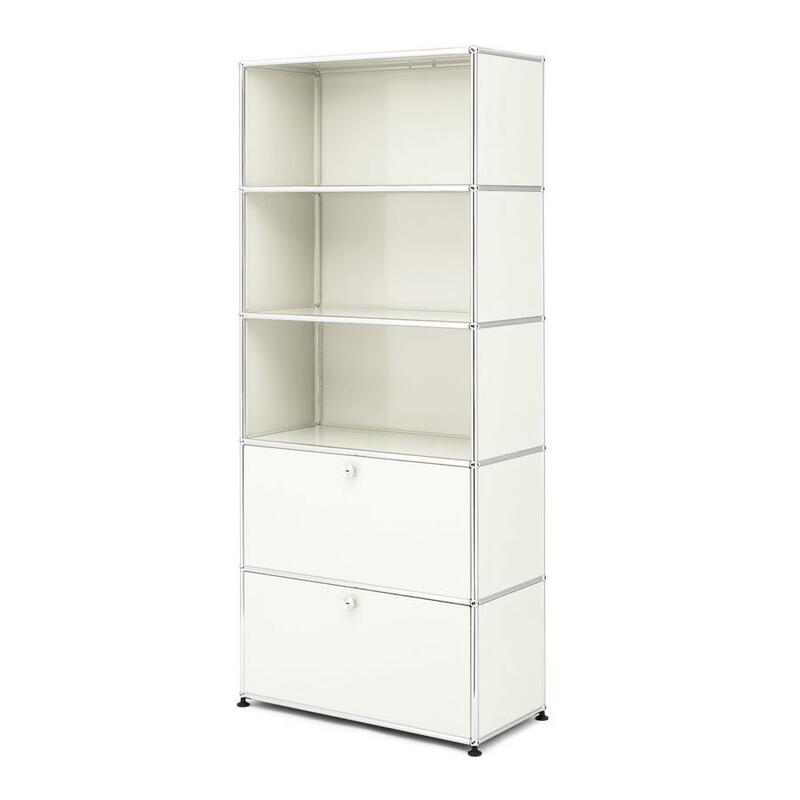 the result is that for over five decades Fritz Haller's USM shelves have not only been an office furniture design classic which and assert themselves through the diversity of its simple design, but have also become a firmly established feature of domestic furniture.